The Hotel suggests pétanque strips, badminton, beach volley, table tennis table, or a fitness room. Enjoy our two outside swimming pools and benefit from serenity moments and appreciate the softness messages suggested by our therapist. Hotel Le Récif guides you in a peaceful and comfortable atmosphere. Feel at ease and discover decorated rooms in natural and soothing tones, with a pleasurable atmosphere. Rooms equipped with a spacious double bed provided with a splendid wooden headboard, a desk and a comfortable sofa to lounge. A beautiful glass door allows you to access to a big terrace which overhangs the English gardens. The refined bathroom, in a neutral tone, includes a generously sized bath in which you can totally submerge. Flexible rooms, ideal for families with children. Make your choice between twin, double bed or a quadruple format with a sofa bed in option. Here, the classic wooden furniture suits perfectly with nature. Get settled on the terrace, gorge yourself on the sun and take finally time to read this book whom you dreamt for an eternity. These spacious suites are the perfect solution for big families and inseparable tribe. They are composed of two connecting Superior rooms. The bedding setup can be adapted to your care. Expect yourself to queen sized bed, modern bathrooms and classic furniture, in wood. There is a warm ambience with dazzling colours as ivory, red and burgundy-coloured which contrast with the sweet tone of furniture. What more to ask? These four Junior Suites squeeze in separate villas, on the seafront. They have at your disposal a big furnished balcony, with a breathtaking view. A room equipped with a spacious double bed provided with a splendid wooden headboard, which leads to a separate living room with a desk, a television and comfortable furniture. A beautiful glass door allows you to access to a big terrace or a balcony, where you can quickly find your favourite place to savour a cocktail while admiring the gardens. Finally, the bathroom in stone, with a natural design, suggests lotions and sustainable products as well as a shower separated from the bath. A multicoloured and perfumed cuisine! Each person its own way, its own personality, the Maloya and the Comptoir Sud offer a moment of joy and sharing around perfumed and coloured flavours. Maloya restaurant, place of relaxation for copious breakfast, opens at 6 a.m. For dinner, everybody finds meals and specialities to enjoy. The crunchy and fresh crudeness buffet, the spicy and sweet flavours and other succulent dishes invite to a coloured and savoured meal. 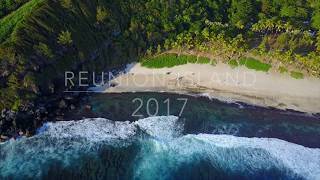 Culinary traditions of Reunion Island have the place of honour. Situated on the pool front, Comptoir du Sud restaurant fills all your salted and sweet desires. The breakfast is festive around a big variety of salads and grill skillfully spicy. In the evening, let yourself tempted by the set menu of curry cooked in a wood fire in the traditional pot. Our major restaurant is the ideal place to get together with a copious breakfast or take peacefully the lunch outside. You will find a complete menu, from generous salads to meat freshly grilled, going through local fishes and lobsters and tropical fruits. Discover the culinary tradition of Indian Ocean, from Maldives to Madagascar. At nightfall, the festive themed buffet offers a new occasion to try new flavours from far-off horizons. And if you want to have fun a little, no need to look far away, thanks to our reunion musicians and dancers. You well deserved to sleep late. For this lazy morning, where you find no reason to drag out of the quilt, enjoy a late breakfast with a view on the swimming pool. Delicious snack will be served all day and in the evening at the pool bar accompanied with perfumed fruit cocktails and embellished with a pinch of Rum. Take a sit and admire the horizon fly off the handle nightfall before letting the stared night coming. Suddenly, the first notes of the orchestra are heard. Some salsa notes, a pinch of tango: here is what makes the night awake. Stock up on intense sensations! Here, your daily stress will fly away to millions of light-years. The only dilemma, that you will be probably facing, will be to choose in which of the two swimming pools you’ll luxuriate… or why don’t you bask on the beach? You are offered to large possibilities to take up your days.